From coding your basic personal webpage, to full-fledged database driven websites that do magic tricks, we do it all, whatever your requirements are. First we sit down, discuss your needs, devise a game plan and best approach; create mock-ups, develop and deliver your solutions to your specifications. Whether you require a Web App, Android, or iOS we have a great team to help build your empire. We are ready to take on your projects and develop the next big thing. Whatever it is you need done, custom logos & branding, just ask and we can more than likely accomodate you! We turn your dreams, vision & ideas into fruition. Need more Facebook likes? Twitter followers? More visibility? Brand/Product Awareness? Quality lead generation? Let us know, we do social & Internet Marketing. We will hold your hand, and help you through the roughest bumps, guiding you through these wild jungles of the interweb. Where2GoTonite is internet company specializing in the nightlife industry which helps venue owners, managers, promoters, event organizers, hosts and barstaff to streamline their marketing efforts while providing tools that effectively assist in managing their venues and businesses. where2gotonite is a website along with mobile apps which revolutionize how venues in the nightlife industry do business from vip clients, promoters, event organizers, dj's, barstaff, owners and managers by digitalizing and automating processes which were once time consuming and mundane, acting as a robust marketing and management tool all rolled into one neat little package. - Clients can earn party points by giving feedback, sharing, and other tasks which they can then redeem for prizes like backstage passes, tickets, discounts, swag, free stuff and more. - Locate venues and events, with intel on the places like male/female ratio, ages, number of people, hypeness to name a few. - GPS venue Locator, direct marketing to clients, floor planner and automated guestlists. - Gain new customers they wouldn't have otherwise with Viral Pooling marketing technology and spread their event(s) virally and automatically populate guestlists thru their own social networks via their custom "Promoter/Guest Invitation Links"
Development: Website, Social Media, Logo, Branding, Front-end, Back-end software. LyricalPro provides you with the unique ability to learn the lyrics to songs with ease. Simply select or search for a song then when you find a song you wish to lyrically master, choose your learning curve and let the "Lyrical Pro" of the music world do the rest and guide you to becoming a lyrics genius. From the first time you open the app to your first perfectly remembered rap, country tune, or song from a 50 crooner, you'll be the one getting wild applause, even standing ovations, and be a local Karaoke Star at the bar! ★ Search Lyrics for a Song with the Lyrics Finder and Target Any Specific Song and Exactly What You Want To Learn with Beginning and End Range Pins! Use the Lyrical Pro app just as a music player to listen to your collection, lyric finder or viewer to Sing Along or Master any Song, any verse, any chorus, any bridge, Anywhere, Anytime with or without the words, by drilling Song Lyrics into your head like your High School Teacher with Our apps Unique & Proprietary Auto-Repetition/Auto-Backtrack-Looping technology. Remember the Words, Forever. Development: Website, Logo, Branding, Social Media, Front-end, Back-end software, Android App. Available in the Google Playstore. DiSPOND is derived from a combination of the words "Dispatch" which means to "deal with (a task, problem, or opponent) quickly and efficiently" along with "Respond", meaning to "say something in reply". Dispond is pronounced as dis-pond, which closely resembles the word of "despond", with an enunciated "i" or "e" respectively. Despond means to "become dejected and lose confidence". You know those times when you can't seem to find the answer you're looking for and just want to give up? We understand and have been there before, and that's why we have created Dispond to solve all your enigmas, dilemmas, predicaments or whatever is on your mind because someone, somewhere has to have the answer you're looking for! Real answers, advice and opinions, from real people, not just another talking computer. After all, this is real-life, not virtual reality. Dispond is the only lifeline you will ever need. Lend a helping hand, receive a helping hand, because sharing is caring and no one is omniscient. So how does it work? In 3-easy steps. Simply create a Dispatch (your video question of yourself or an object, landscape, whatever), select the appropriate channel/category, then Dispatch it. Your Dispatch will be automatically sent to 100 random "Dispondents" whose expertise match the channel you chose from all over the world (or you can select the GPS icon to localize your Dispatch distribution within' the Dispond Network). As "Disponses" are populating, the same group of people will be able to see your question, at which point they may "Kudos" (our digital version of a high-five), which will determine who has given the best possible answer, and you will see these all in the palm of your hand. At the end of the day, do what you will with that new found knowledge! Development: Website, Branding, Logo, Social Media, Front-end, Back-end software. 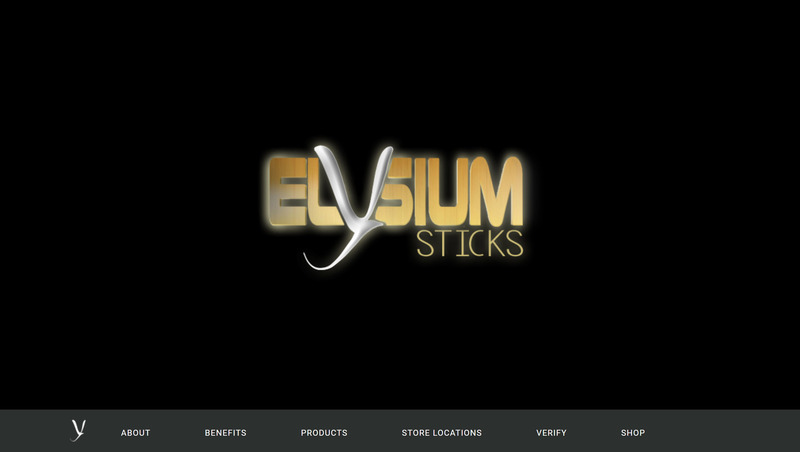 Elysium Sticks is a Premium Disposable Vaporizer brand for both Marijuana liquids and/or nicotine. Elysium means "the perfect place or state of happiness." The letter "Y" in Elysium doubles for the "Freedom Bird". This brand is targeted towards high-end clients. The products range in retail price from $80 to $500 a set and come in 1-Pack or 5-Pack. 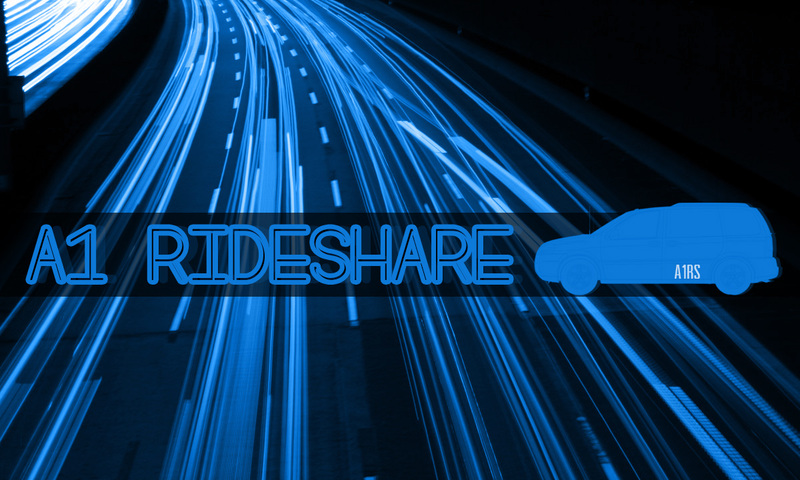 A1 RideShare is a fully automated booking system for the long-distance ridesharing industry which connects drivers and passengers looking to share a ride for long hauls. 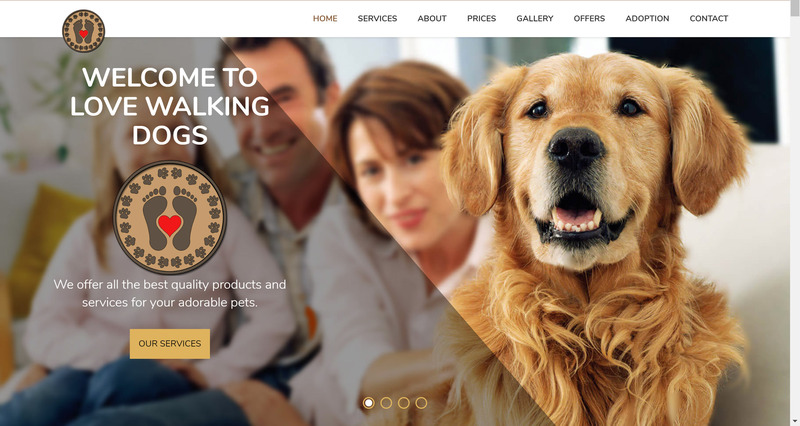 LoveWalkingDogs is a local dog walking service. Every logo and branding project is meticulously thought out with symbolic meaning behind them, crafted with love and care. Take for instance Love Walking Dogs, where the client wished to have the underlying theme be that of a Christian Poem, “footprints in sand”. The logo literally speaks LoveWalkingDogs and shows their passion for this profession. 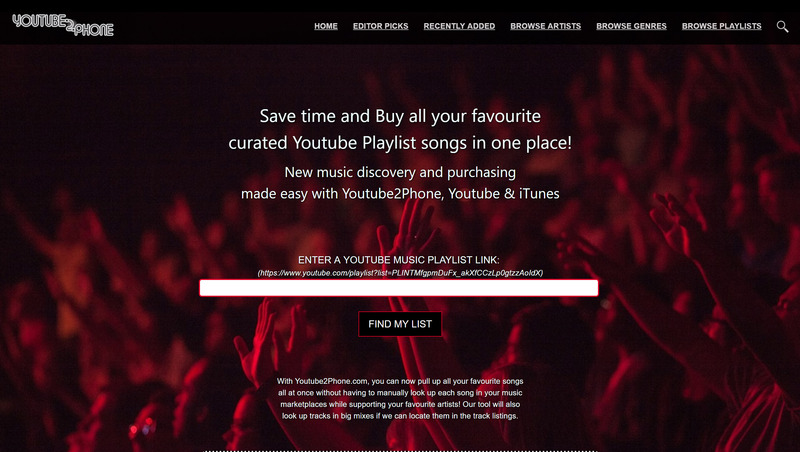 Youtube2Phone simplifies the buying process from your favourite Youtube playlists by aggregating all your playlists data directly into downloadable links in your favourite Music App Store. Development: Website, Logo, Branding, Social Media, Front-end, Back-end software. For all inquiries, please send us an e-mail using the form provided. Thank you!